This entry was posted on October 19, 2016 by Van Rental. In a bid to reduce air pollution in the capital, London Mayor Sadiq Khan is hoping to accelerate and expand the creation of a new Ultra Low Emission Zone (ULEZ) for London. The original plan was for ULEZ to apply to the congestion charging zone from September 2020. All vehicles operating inside this area during congestion charging hours (0700 – 1800, Mon-Fri) would have to meet raised standards. For diesel vans and cars, the standard would be Euro 6. Mayor Khan is now hoping to get agreement to bring forward the introduction of the ULEZ by one year to 2019. He’s also hoping to introduce a £10 emissions surcharge on pre-Euro 4 vehicles entering London from 2017. That would generally affect diesel cars and vans registered before 2005. In a more ambitious move, Mayor Khan is also proposing that from 2020, the ULEZ should be expanded to cover the whole area inside the North and South Circular roads for motorcycles, cars and vans. 443 schools in the capital are in areas where pollution exceeds safe air quality levels. Nearly 10,000 Londoners die from long-term exposure to air pollution every year. The health impacts of air pollution in London are estimated at £3.7bn each year. It’s clear that something needs to be done, in my view. Simply waiting for natural attrition to eliminate older, more polluting vehicles, may not be enough. What’s the problem with cutting pollution? 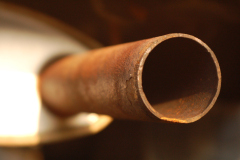 I’ve discussed the failure of the Euro 5 emissions standard before on this blog. Euro 6 should provide a significant real-world reduction in NOx emissions, but the number of Euro 6 vans on the road remains very low. Although Euro 6 models have been available from some manufacturers for the last year or so, customers were mostly opting for cheaper Euro 5 alternatives. If Mayor Khan goes ahead with a plan to expand the ULEZ, then van operators who typically use secondhand vehicles could find themselves unable to buy compliant vans ahead of the 2019 deadline. This is because the majority of the used van market is supplied by fleet and lease firms, who usually keep their vans for between three and four years. Euro 6 vans have only started selling in volume over the last 6-12 months. This means that relatively few are likely to enter the secondary market before 2019/2020. For van operators who can’t afford or to buy or lease a new van, operating in London could become difficult. Mayor Khan is lobbying the government to introduce a diesel scrappage scheme to help address this issue, but comments so far from ministers suggest this is unlikely to be adopted. It may be that operators will be forced to rely on daily and long-term rental vans to bridge the period between the introduction of the enhanced ULEZ and the widespread availability of used Euro 6 vans.